The roar of the greasepaint, the smell of the crowd, Anthony Newley called it, and after the final curtain call of "The Odd Couple," backstage, all Dan Dailey wanted to do was get out of his makeup and into a dressing gown. This night was to be an occasion, the birthday of Joe Jamrog, an understudy who had just played Murray the Cop, and there was a pot of coffee and a birthday cake in one of the dressing rooms. After he had washed and turned on a portable television set and taken a sip from a bourbon-and-water mixed by Nat Wilson, his valet, Dailey came out of his dressing room for the birthday party. The Sinatra Lady was out there again tonight," Elliott Reid, his co-star, said. "What Sinatra Lady?" someone asked. "The Sinatra Lady who comes about every six weeks," Dailey said. "We kid ourselves it's the same lady, but actually it's not. Anyway, in the third act, I have a line, 'What goes better with London broil, Mancini or Sinatra?' And without even realizing she's talking out loud, the lady in the third row says. 'Sinatra!" "People really get wrapped up in this play," Reid said. Dailey ate some cake and drank some coffee. By then it was 11:15 and people were beginning to drift away. He went back into his dressing room and lit a cigarette. He is a big man, deep voiced, 6-foot-4, 220 pounds, Irish, his face the pleasant face of the song-and-dance man who made "My Blue Heaven" with Betty Grable long enough ago that there is a Teevee-Jeebie from it pasted on his wall. Dailey was tired, this night. "The Odd Couple" is a physically demanding comedy, requiring him to be onstage almost every minute, playing a growling, loud, recently divorced sports writer who makes the mistake of inviting a friend in marital difficulty to move into his bachelor's squalor. The friend turns out to be a compulsive housekeeper, and if you add to this conflict a Monday night poker game and two British secretaries named Cecily and Gwendolen Pigeon, you have Neil Simon's play at the Blackstone. "It's not like a lot of comedies," Dailey said, "it doesn't depend on jokes. What you have is an essentially realistic situation, two guys who have left their wives and are trying to remember how to be bachelors again. And then you have that poker game -- it's probably the most typical poker game there's ever been on a stage." On a corner of Dailey's dressing table, the TV set was presenting, unnoticed, Johnny Carson's opening monologue. Dailey took another sip of his bourbon-and-water, lit another cigarette and watched the screen for a few minutes. "I unwind most nights watching this show," he said, "I know a lot of the people on it. And Carson, I don't think people realize how good Carson is. He's quick, he's intelligent. He lets his guests go off on their own, without forever interrupting them. Whatever happened to Jack Paar, by the way? I don't know, but whatever it was, I'm glad." Dailey chuckled. "Those idiots who run television say they have to gear it to the taste of the people. Hell, they gear it to themselves. That's all the taste they have. You see something like Leonard Bernstein's concerts for kids, and you realize what could be done. So what do they do? They put on idiot things. And that herd of cattle you see on TV. My God, they've driven that same herd of cattle across the screen for years -- it'll be skin and bones by the time it gets to Chicago." He was asked about his own movies, "There's No Business Like Show Business," "Meet Me at the Fair," "Give My Regards to Broadway," and the others, which show up periodically on the late show. "I don't mind the publicity," he said, "but of course there's no money in it. You entertain 40 million people and you don't get Dollar One. Twenty years ago, the major studios had their chance to get into television, and they blew it. They thought TV would go away." On the screen, Carson was talking to Jackie Vernon, the comedian. "Have you made big plans for the Christmas season?" he asked Vernon, who considered the question seriously and finally said, his face immobile as a sphinx, "Well, you know, John, Christmas has always been . . . like a holiday to me." Dailey roared with laughter. "Vernon has one of the greatest senses of humor of all time," he said. "Absolutely deadpan. He never cracks a smile. He just lets the lines carry him. That's the way you have to play 'The Odd Couple.' If you try to help the lines too much, you destroy them. You've got to lay them in there the way Simon wrote them, and that's that." Dailey's eyes returned to the television set, where Carson was now holding up a can of dog food. "The greatest communicator in the world, wasted," he said. "Even the news is a laugh. They talk about the great newscasts. What they are is some guy with a great image sitting there and reading a lot of crap somebody else wrote that afternoon. And the commercials! Your average television commercial is something else again. What kind of mentality turns out that junk? Have you seen that one, 'There's a dove in my kitchen’," he mimicked an announcer's voice. "It's a white tornado!" Dailey shook with laughter. "And . . . and the all-time classic stupidest line in history: 'My breath feels like it will last all day!'" Somebody poked a head into the dressing room with the news that the house had been about 55 per cent full. "Well, not bad for the week before Christmas," Dailey said. "It's a wonder people go to the theater at all. But once a play runs three months, it's good forever. By then people start telling their friends and you get word-of-mouth. The trouble with Chicago is, a play opens and it's only scheduled for maybe a month. It closes before people even know it's there. And then you hear the theater is dying. Well, Chicago can cry and moan by itself. If it won't support theater, it won't get theater. Theater should get the kind of support the opera gets. I know I wouldn't risk money opening a show in this town. "But then, you know, you get a play like this one, and it runs forever. It shows you people will come to a play if they hear it's a good one and if it's in town long enough for them to hire a baby-sitter. And once they get into the theater, they enjoy themselves. They get involved like the Sinatra Lady. That's why I like the legitimate theater, I suppose. You get the feedback, you know the people are there." There was a photo over the mirror of Dailey dressed as a huntsman. Now he glanced up at it. "You know, a lot of people are surprised when they see me on the stage. I play this big, loud, sloppy slob. 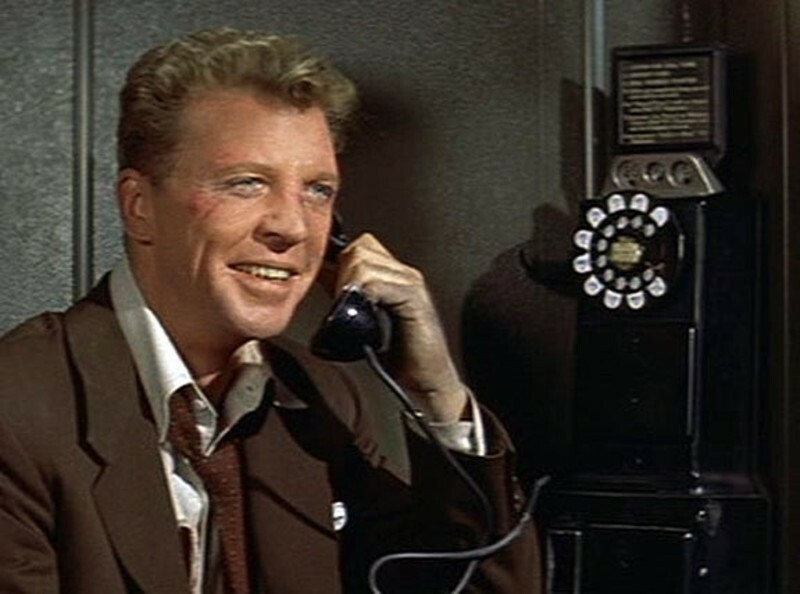 When they think of Dan Dailey, they think of the straw hat and the white tie." Dailey said he started in show business in a minstrel show at the age of 6. "The whole family was in show business at one time or another," he said. "A brother, two sisters. My mother was a singer, and my father was a hotel manager. I spent a couple of summers as a social director at a hotel in the Catskills. I was the only gentile in the mountains. "Only my sister and I stayed in show business. My sister, Irene Dailey, is a serious actress, a marvelous actress. She had a difficult time. She was in about 17 flops in a row, and then she starred in 'The Subject Was Roses,' and won every award in the book. "On the other hand, show business was always pretty easy for me. I didn't make much money when I was a kid, but I was so young I didn't know it. I remember making $23.50 a week at the Roxy in New York, and that seemed like a lot of money. But it never stopped for me, you know what I mean? I was lucky. I've done everything I wanted to do, and now I don't have to work anymore. I still have the drive to be good, but I'm not competing. I wait until I find something I like doing, a play like this one. When we finally close, I'm going to take six months off, just lie down on the beach somewhere . . ."
It was a few minutes until midnight, and on the television a guitarist was playing "Silent Night." The dressing room was quiet until he finished. "Christmas," Dailey said. "My son, Dan the third, is coming in on the 26th to spend a few days . . . "
He looked around his dressing room. "How do you like the decorations?" There was a Christmas tree in the window, a poinsettia, and Christmas cards taped to the walls. "I tried to make it a little homey," he said. "You get such schlock dressing rooms, you have to do something. I remember the Forest Theater in Philly you had to dress across the alley in a garage. That's the last thing they think about in this business, the actors. The hell with their dressing rooms, but you've got to have marble in the lobby . . . Hey, Nat!" Dailey's valet came in from the next room. "Let's get dressed and go home." Outside the Blackstone, the street was empty and the lights on the marquee were out. Dailey got his Chevrolet station wagon from the parking lot next door. Signed autographs for three kids who looked like college students ("We've seen you on the late show a hundred times"), and drove up Michigan Ave. to the Carriage House. "It's a nice little home," he said, turning on the lights in the living room. "A man's kind of apartment, woods and greens, with a kitchen and maid service. The funny thing is, I always keep the place neat, not like Oscar the slob in the play. Elliott Reid plays the neat and clean character, and you should see his apartment." There was another Christmas tree in the apartment, with presents underneath. "Christmas is a thing with me," Dailey said. "Anywhere I go, if it's Christmas there has to be a tree. I remember once I flew from New York to Spain on Christmas Day, and I was the only one on the airplane. I'll never forget it. But when I got there, everybody was waiting, and we had our Christmas. And it was a lovely Christmas. Spain. There was a marvelous little boy who used to wait on us. Jesus was his name." The doorbell rang, and Alan Edelson, the show's press agent, came in accompanied by Carol Warner, a dancer who frequently works with Dailey. "Hell, let's have a party," Dailey said. "The bourbon is in the kitchen." Carol had brought some red-and-white candy canes, and began hanging them on the tree. "Now there's a marvelous dancer, Carol Warner," Dailey said. "She can dance. Most kids today, they don't know how to dance. You can't learn tap dancing when you're 20. You learn it when you're 6, and the way you learn it is, you just do it. I only have to think, and it comes out. Everybody who dances today has a little routine, and they practice it. Six steps this way, do this, do that. We didn't learn, we invented. Sometimes I think Sammy Davis is the last real tap dancer. "And the popular dances today -- the twist, the watusi. They're for people who can't dance, but would like to think that they can. It's like playing the piano without knowing how. Sound and motion, but no message. We had dances you had to be able to dance. The Lindy Hop took a little dancing." He got up from the sofa and gave an impromptu demonstration with Miss Warner. "It's all in the small of the back," he said. "The guy has got to steer the girl with the pressure of his right hand, not wave his left hand around in the air like he was trying to direct traffic." Dailey sat down again. His movements were smooth and graceful despite his size, the movements of the song-and-dance man who made 52 movies and was good. "Hell, it's not hard to dance," he said. "People make it hard. I say give me 30 days with a man or a horse, and I can make them the best." He sipped bourbon. "I ride every day, summer and winter. I love to ride, I suppose I've broken every bone in my body, one time or another, riding those damned horses, but I love them. I always thought it was funny, I was one of the few guys in Hollywood who could ride a horse, and I was the song-and-dance man. Here you had these so-called cowboys - I don't want to mention anybody - who couldn't get on a horse with a stepladder. "But, I don't know. I was a dancer, or at least that was the image. I did a lot of straight parts, too, but I've always liked to dance and it came naturally. And it paid a lot of money, although it wasn't the kind of business where you made a lot of friends. Most of my friends aren't show business people. Betty Grable is one, and Richard Benjamin. The trouble with a lot of show business people is, they take themselves too seriously." He smiled, his eyes on the Christmas tree. "And then there are guys like the Baron, we call him – Jose Greco's manager. He always looks like he's coming out of the conning tower of a German U-boat. And the crowd in 'The Odd Couple' cast, they're all nuts, they're having parties every other night, celebrating this or that . . ."
Now it was past 2 o'clock, and the conversation settled into a moment of silence. The next evening, Dailey would give another performance of "The Odd Couple," and on Jan. 11, the play would pass the 300-performance mark. It was already the longest-running, highest-grossing play in Chicago's history. Dailey was tired, from riding and acting and talking, but he still wanted to talk a little longer. "I don't know, sometimes I think everybody who really can dance is a natural," he said. "Greco, for example, or Astaire. I'm bored with the classic ballet. It's a series of steps. They do something, and then they walk over to another part of the stage, and they do something else. I saw the Bolshoi the last time they were in the country, and they were terrible. Tenth-rate tricksters. The audience was bravoing after every trick. At what the hell? "But, you know something? We have the greatest dance company in the world, and it can hardly raise enough money to leave New York. That's the Martha Graham Company. She so far outclasses anything from overseas it's pathetic, but your pseudo art-appreciators line up for the Bolshoi. "Martha Graham is dancing all the time she's on the stage. She has a technique - not a style -- and it's like she invented an instrument like the violin, only better. If I had only known about Martha Graham..."
Dailey paused. "Her dancing is like the movement of a great athlete who can be off balance and still run and move and throw. It's beautiful. That's how I wanted to dance. That's what I was trying to do in my own stupid way, and I didn't know it until I saw her. That's what dancing can be, now."